February 6, 2016 – RWF: Thunder Rosa defeated Desi De Rata. April 23, 2016 – Indy Wrestling Event: Desi De Rata defeated Maria Munoz. April 30, 2016 – Fist Combat: Samara defeated Desi De Rata. May 15, 2016 – SPW: Desi De Rata defeated Beatrice Domino. June 25, 2016 – VPW: Desi De Rata defeated Sage Sin. July 9, 2016 – APW: Holidead defeated Desi De Rata. July 16, 2016 – PCW: Kimberly Shellhammer defeated Desi De Rata. July 17, 2016 – PREMIER XIII: Nicole Savoy defeated Desi De Rata. August 13, 2016 – EBPW: Samara defeated Desi De Rata. August 14 2016 – Indy Event at the 14th Arena: Samara defeated Desi De Rata. August 19, 2016 – FIST: Samara defeated Desi De Rata. August 20, 2016 – Wrestlingbow: Brittany Wonder defeated Desi De Rata. September 16, 2016 – FIST: Desi De Rata and Kaka Meng defeated Scotty Wringer and Sledge. September 18, 2016 – Wrestling At The 18th Arena: Baronessa defeated Desi De Rata. September 30, 2016 – FIST: Desi De Rata defeated Jheri Giggalo and Moondog Beast in a handicap match. October 7, 2016 – Sabotage: Delilah Doom defeated Desi De Rata. October 14, 2016 – APW: Shotzi Blackheart defeated Desi De Rata. October 15, 2016 – PCW: Shotzi Blackheart defeated Desi De Rata. October 16, 2016 – SPW: Desi De Rata defeated Shotzi Blackheart. October 21, 2016 – FIST: Desi De Rata defeated Samara. October 22, 2016 – GRPW: Shotzi Blackheart defeated Desi De Rata. October 23, 2016 – Lucha Libre Mexicana: Cristal defeated Desi De Rata. November 5, 2016 – FIST: Desi De Rata defeated Jheri Giggalo. December 3, 2016 – Indy Wrestling Event In Kansas: Skylar Slice defeated Desi De Rata. December 9, 2016 – FIST: Devyn Adams defeated Desi De Rata. December 10, 2016 – MCW: Desi De Rata defeated Ashley Grace. January 20, 2017 – Texoma Pro Wrestling: Nikki Knight defeated Desi De Rata. January 21, 2017 – IWR: Desi De Rata defeated Nikki Knight. January 22, 2017 – BOTW: Kikyo defeated Desi De Rata. January 27, 2017 – RISE 2: Desi De Rata defeated Jewells Malone. February 18, 2017 – Sabotage: Heather Monroe and Holidead defeated Desi De Rata and Mazzerati in the 1st round. February 25, 2017 – MPW: Desi De Rata defeated Katarina Leigh. February 26, 2017 – WPW: Amazona defeated Cristal and Desi De Rata in a 3-way match. March 4, 2017 – IWR: Desi De Rata defeated Taylor K.
March 11, 2017 – EBPW: Desi De Rata defeated Samara. March 18, 2017 – MPW: Desi De Rata defeated Human Tornado. March 19, 2017 – CWFA: Heather Monroe defeated Desi De Rata. March 25, 2017 – IWR: Desi De Rata defeated Isabella Garcia. April 8, 2017 – IWR: Desi De Rata defeated Taya Valkyrie. May 27, 2017 – IWR: Desi De Rata defeated Paige Turner. June 3, 2017 – BEW: Desi De Rata defeated Melanie Gray in the 1st round. June 4, 2017 – BEW: Desi De Rata defeated Little Miss Roxxy in the semi-finals. Kasey Owens defeated Desi De Rata and Shotzi Blackheart in a 3-way elimination match to win the tournament and retaining the women’s title. June 29, 2017 – IWA Mid-South: Desi De Rata defeated Shotzi Blackheart. July 1, 2017 – OCCW: Super Green defeated Desi De Rata. July 8, 2017 – Browbeat: Desi De Rata defeated Zero. July 15, 2017 – FSW: Desi De Rata defeated Allie Parker. August 3, 2017 – DEFY 6: Desi De Rata defeated Cat Power. August 5, 2017 – Sabotage: Desi De Rata and Mazzerati defeated D’Marco Wilson and Human Tornado. September 2, 2017 – The Crash: Desi De Rata and Dezmond Xavier defeated Keira and Laredo Kid. September 23, 2017 – Bumps & Brewses: Ruby Raze defeated Desi De Rata. October 7, 2017 – IWR: Desi De Rata defeated Taya Valkyrie. October 14, 2017 – IWR: Desi De Rata defeated Katie Forbes. November 11, 2017 – IWR: Desi De Rata defeated Katie Forbes and Holidead in a 3-way match. January 27, 2018 – AWS: Desi De Rata defeated Sage Sin. January 27, 2018 – AWS: Desi De Rata defeated Barbi Hayden. March 17, 2018 – BOTW: Desi De Rata and Diablo Azteca defeated Lisa Lace and RJ Remington. April 6, 2018 – PHW: Desi De Rata & Kyle Hawk defeated Lunar Patrol. April 21, 2018 – IWR: Mia Yim defeated Desi De Rata. April 22, 2018 – IWR: Desi De Rata defeated Mia Yim. April 29, 2018 – BVW/GRPW/Vendetta Pro: Kat Von Heez defeated Allie Parker and Buggy Nova and Desi De Rata and Lisa Lace and Maddison Miles and Moxie Mollie and Sandra Moon and Shawna Reed and Tab Jackson in a battle royal to win the Luna Vachon Memorial. April 30, 2018 – IWR: Desi De Rata defeated Mia Yim. May 25, 2018 – NHPW: Madison Eagles defeated Desi De Rata in the 1st round. Avary defeated Azalea and Desi De Rata in a 3-way, 2nd chance 1st round match. May 26, 2018 – NHPW: Desi De Rata and Michael Spencer defeated Casey Johns and Jay Taylor. June 24, 2018 – Bumps And Brewses: Desi De Rata defeated Heather Monroe. August 18, 2018 – AWS: Ruby Raze defeated Desi De Rata. September 15, 2018 – Ring Warriors on WGN #1 (Taped): Desi De Rata defeated Santana Garrett. September 21, 2018 – 3-2-1 Battle: Desi De Rata defeated Kaden Talbain. September 22, 2018 – 3-2-1 Battle: Brittany Wonder defeated Desi De Rata in the 1st round. September 29, 2018 – WCR: Taya Valkyrie defeated Desi De Rata and Marti Belle in a 3-way match. October 13, 2018 – Ring Warriors on WGN #5 (Taped): Desi Derata and Nicole Savoy defeated Melissa Anderson and Santana Garrett. 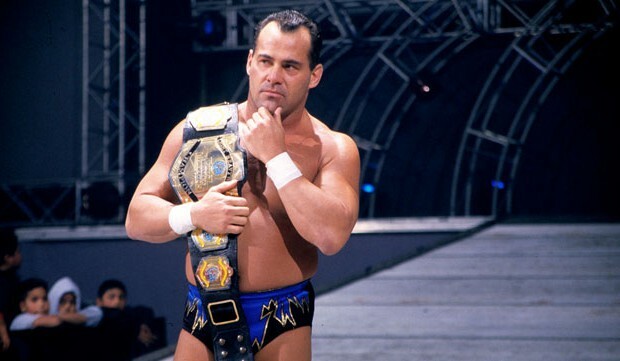 November 2, 2018 – DWO: Gino Rivera defeated Desi De Rata by disqualification to retain the Full Access title. November 3, 2018 – DWO: Desi De Rata defeated Ray Basura. November 10, 2018 – Ring Warriors on WGN #9 (Taped): Melissa Anderson and Santana Garrett defeated Desi Derata and Nicole Savoy. November 24, 2018 – Ring Warriors on WGN #11 (Taped): Heather Monroe defeated Desi Derata. December 14, 2018 – LAL Episode II: The Bomb Squad (Cameron Gates & Dylan Kyle Cox) and Viva Van defeated The Arrow Club (Desi De Rata & Kyle Hawk) and Ruben Iglesias. January 11, 2019 – Hoodslam: Desi De Rata defeated Nurse Ratchet in the 1st round. Holidead defeated Desi De Rata in the semi-finals. January 12, 2019 – Hoodslam: Desi De Rata and Holidead defeated The Stoner Brothers (Rick Scott Stoner and Scott Rick Stoner). 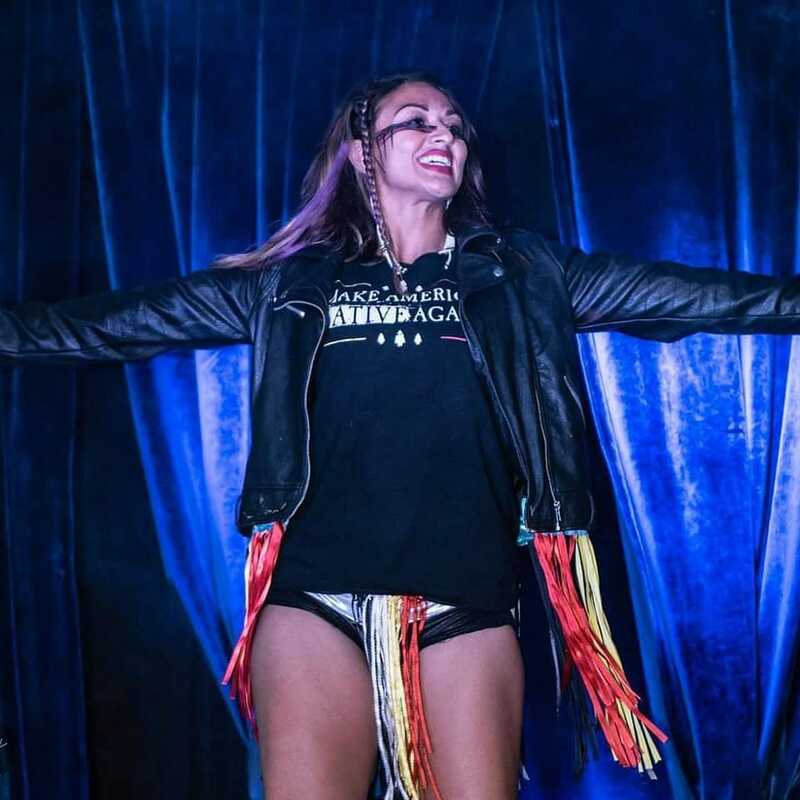 February 15, 2019 – PCW: Nightshade defeated Desi Derata and Yuu in a 3-way match to retain the women’s title. February 16, 2019 – PWC: Shax defeated Desi De Rata. February 22, 2019 – 3-2-1 Battle: Desi De Rata defeated Izzy McQueen, Liiza Hall, Naddie Russum, Riea Von Slasher and Sloan in a 6-way, 1st round match. March 8, 2019 – Hoodslam: Desi De Rata defeated Great Bambina. THIS SATURDAY at 9pm on @fightnet UK! 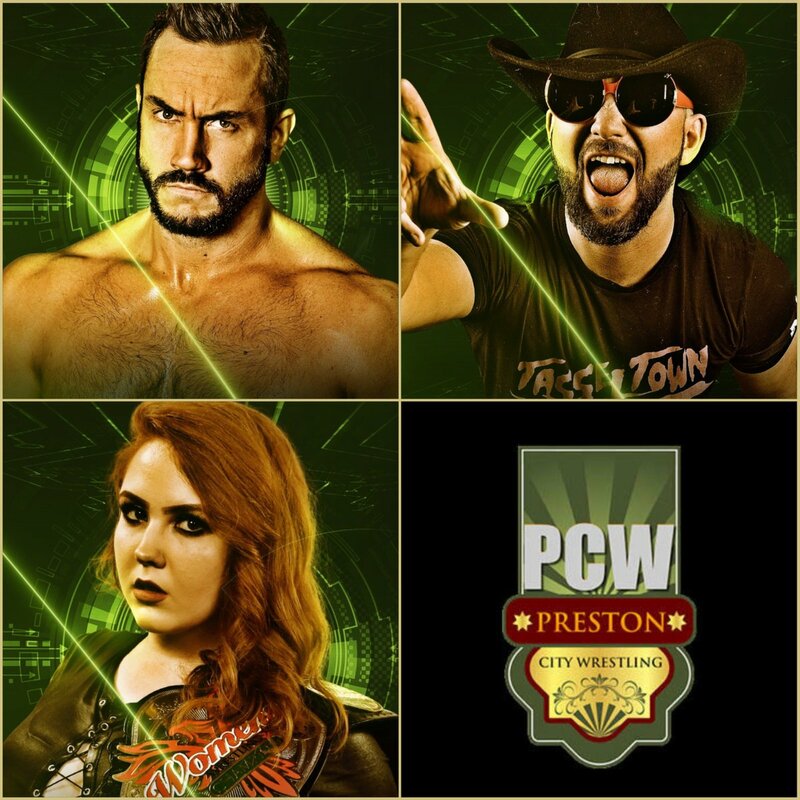 The @PCW_UK Women's Champion @nightshadepw faces Desi Derata ( @BodySlamQueen3) in non-title action and 'The Alpha Male' @Iestyn_Rees continues his war with The Buyout as he takes on @DannyTheHope!